In this day and age, we’ve come to expect to see images of U.S. presidents gracing gossip websites and the covers of tabloid newspapers. 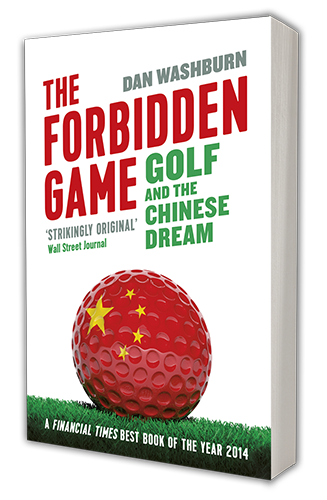 But rarely, as it was recently, is golf at the heart of the discussion. After breaking briefly from a two-week vacation on Martha’s Vineyard to publicly address the savage beheading of American journalist James Foley at the hands of Islamic State militants, Barack Obama headed straightaway to Vineyard Golf Club for a round of golf. Photos showed him on the course, grinning and fist-bumping with the likes of former NBA star Alonzo Mourning and millionaire investor Glenn Hutchins. No matter where your opinion falls on this particular controversy, one thing is clear: Something like this would never happen in China. Because high-ranking Chinese officials know if they get caught on the links, it would be political suicide. Read the rest at The World Post. Filed under Blog, Featured. Tagged barack obama, huffington post, stories, the world post.